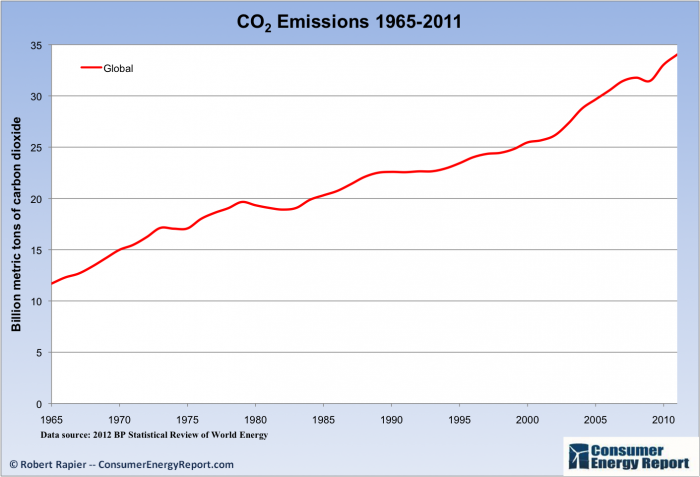 Note this measures emissions per year, not emissions cumulatively. Also note the little dip in 2008. That was on account of the recession. This clearly indicates that in order to thwart climate change industry must pretty much stop. All the policy-making and conscious consumerism has done very little to address the actual problem, while what has had an actual impact is an economic downturn. This is shocking to me, but not depressing. There’s a lot of opportunity here and it’s up to us as a species to figure it out. What kind of values do we need? What do we do about this? These questions are rote but they’re important and good ones. And the answer is nowhere near “try to shop at Whole Foods once in a while”.